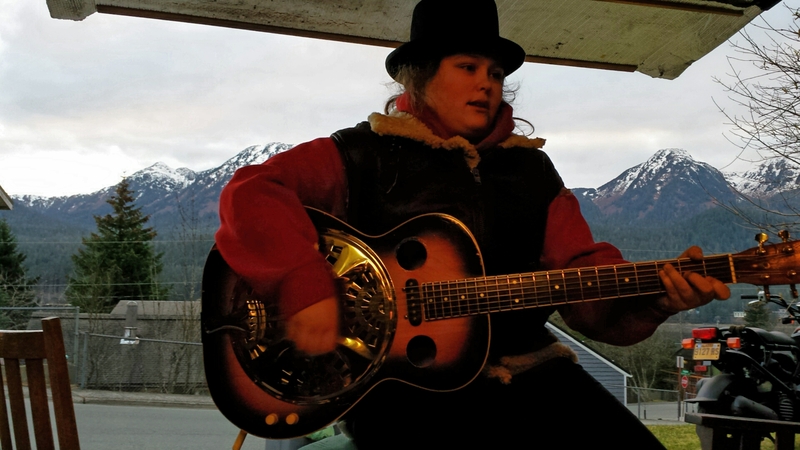 My girl, playing an old resonator guitar, outside, in Alaska, in February. The guitar, the scooter, the garage, even the vest on her back belong to our friend John who was taking a break from repairing shoes in his garage shoe shop to jam with our friend Reed. Or maybe he was taking a break from jamming to work on some shoes, which is how Selma sweet talked her way into the resonator and the vest.